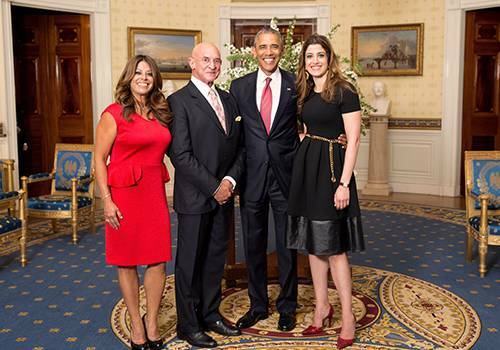 Dr. Patricia Ramos in the White House with Luis Echarte, CEO of Azteca America Spanish Language channel, President Obama and Nathalie Rayes, SMC alumna. 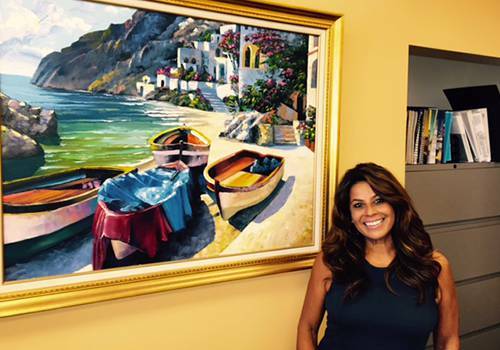 Dr. Ramos in her office at Santa Monica College. 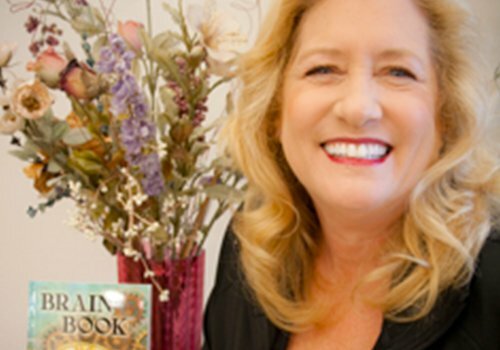 In many ways, Dr. Patricia Ramos has led the quintessential Southern California life. 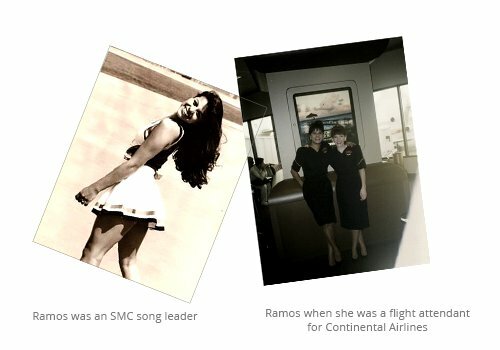 She was a Venice High School Dance Team member and Santa Monica College song leader, a flight attendant, and an entrepreneur who opened a coffee house-catering business, with her husband, in Redondo Beach that grew to employ 14 people. But she was also a self-described “tough little girl” who grew up in the Mar Vista Gardens public housing project, a “latchkey kid” with a single mother, and the sister of three brothers who all died in their 20s and 30s. 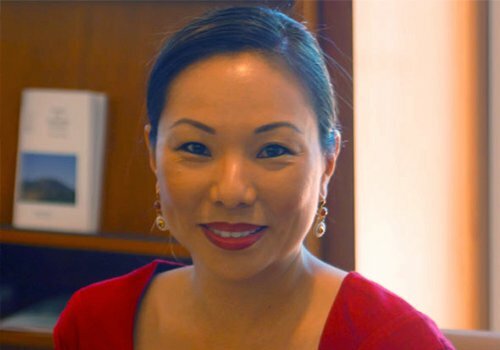 Since returning to the higher education arena – first as a student and later as an SMC counselor and administrator – her career rise has been rapid. 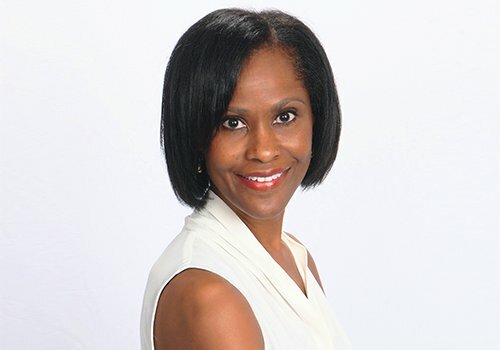 And increasingly, she has been guided by a dedication to advocating for students and spreading the gospel of lifelong learning for both professional and personal reasons. Her civic engagement, which spans two decades, is also noteworthy for its depth and breadth – and has even led to visits to the White House. As Dean of Workforce and Economic Development, Ramos develops partnerships with business and industry, labor groups and other educational institutions to provide career-training programs that meet the current and projected workforce needs of the Los Angeles region. The division she leads is also a resource and development wing of the college for career and lifelong learning. How does Community Education fit into Workforce and Economic Development? The platform is critical to us doing what we need to do. Not all students come to community colleges to take for-credit programs. They come to learn new skills, or get short-term training for new jobs or career advancement, or enrich their lives and improve their health. SMC is a community-serving institution. We are here to serve lifelong learners, and we want to have a cradle-to-grave role in our community. What do you say to critics who call community education programs frivolous? Many of what might seem to be frivolous classes have many benefits. For example, a bead-making course might lead to creation of a small business. A salsa class can help relieve stress. A student might take a photography class to upgrade his job skills. And aside from being affordable and convenient, we are responsive to our market. We charge a fee, and if a class doesn’t fill, it’s eliminated from our offerings. If our community wants underwater basket weaving, and they’re willing to pay for it, we should provide it. You attended SMC for one year after high school, transferred to Cal State Northridge but left before receiving a bachelor’s degree. You then spent several years traveling the world as a flight attendant. Why did you quit the airlines? I left because it was a great job with great opportunities but it wasn’t a great career. And I got weary of the travel and splitting my time between L.A. and my apartment in Houston, where Continental Airlines was based. So you opened the coffee house, which flourished, but decided to go to Mount St. Mary’s College to finish your degree. Right. I loved the coffee house-catering business, but after the death of my brothers, I had a “Come to Jesus” moment and I thought, “Am I going to schlep coffee for the rest of my life?” I realized I desired a more purposeful and fulfilling career. I got a Master’s in Educational Counseling at Cal State Dominguez Hills and later a Doctorate in Educational Leadership from USC. 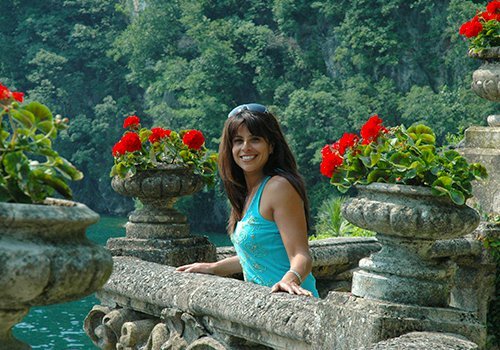 You came back to SMC as a part-time counselor in 2002. I was counseling student athletes and I loved it. I like to listen and help students create a road map to where they want to go. Later I worked to help students get financial aid and served first year students in the Welcome Center. How did you become a manager and then administrator? I was very happy as a counselor and had no interest in management. I was encouraged to apply for the director of SMC’s Small Business Development Center due to my business experience and initially resisted. But upon the advice of mentors and friends I began to see how I could do more good as an administrator because you can advise the college on the use of resources. Tell us about the Women’s Executive Leadership Program. I was one of 30 Latinas in California selected to enter the program. The experience was a critical turning point in my life. It’s where I learned that Latinas are the least educated minority, and I thought I should do something about it, to be a part of the solution. I became involved in a number of organizations and activities, including the Latina Youth Conference, held annually at SMC, as well as the National Hispana Leadership Institute (NHLI) and Hispanas Organized for Political Equality (HOPE) Leadership Institute. You spent a year as a National Hispana Leadership Institute (NHLI) Fellow, which allowed you to attend special programs at the prestigious Harvard Kennedy School of Government and Aspen Institute Center for Creative Leadership, as well as provide the opportunity to spend a week in Washington, D.C. meeting with Cabinet and other officials. What was that experience like? It was wonderful. My favorite memory was an intimate meeting with Supreme Court Justice Soto-Mayor in Chambers. NHLI was an opportunity to attend prestigious institutions, to interface with other Latina leaders across the country looking to address social issues – whether in education, health care, business, or government. It’s proven helpful in my role as a dean, to get a national perspective on what is happening to women and, specifically, Latinas. In addition, I was able to grow a network with the other Fellows throughout the U.S. who are alumni of NHLI. You’ve been the Dean of Workforce & Economic Development since 2008 and active in many civic and political advocacy organizations. What have been the rewards of your professional and community work? To have the privilege to lead a talented team here at SMC and being in the position to remove educational, social and economic barriers to education and training is rewarding. What’s your idea of a perfect world? In a dream world, there would be no achievement and opportunity gaps, students would be grade proficient Kindergarten-through-12th and be better prepared to enter college, and there would be economic parity and no gender bias. If I can help create for the college the ideal conditions for people to come in at all levels and at all ages to get the training they need to earn family sustaining wages – that would be a more perfect world. If you’re a Francophile like I am, then you might know about a phenomenon in France that happens every September called la rentrée – that very Gallic concept that captures the surge of energy palpable in the streets of Paris and throughout the country this month. La rentrée, which translates roughly as "back to school" but concerns adults too, essentially connotes the excitement of this time of year. Of course, because I work in a school, I feel la rentrée particularly keenly. And I have an extra reason for excitement this September – the new layout for this newsletter, Sound Bites. More than just a new look, the refreshed format is part of a larger effort to engage with YOU – our wonderful students, amazing instructors, fans and friends. Watch for our informative emails that keep you up to date on new classes, discounts, registration dates and more. We will also be having a fun Open House in January and, after the overwhelming response to our first Photo Contest this year, we will repeat our competition in spring of 2016. We also urge you to follow us on social media – Facebook, Twitter, Google Plus and LinkedIn – where we not only post updated information about Community Ed, but include links to interesting and practical articles, amazing images and more. But we want the communication to be two-way. We want to hear from you about your experiences in our classes. If you’re an instructor, tell us about your students. We also what to hear about your accomplishments – whether directly related to Community Ed or not. Of course, if your experience at Community Ed had an impact on your life, we want to know about that, too. Just email us at commed@smc.edu. Together, let’s take the “Community” in “Community Ed” to a new level! We’ve heard it in the media, and many of us have seen it firsthand with aging relatives or friends: Cases of Dementia, including Alzheimer’s disease, are on the rise. 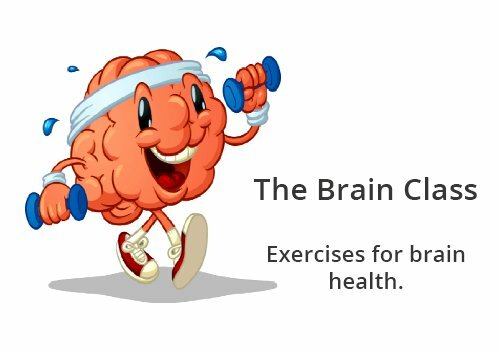 We at Community Education are doing what we can to respond to this health issue by offering several brain fitness classes. Our next one, “The Brain Class – Change Your Mind,” will be offered Oct. 3. No matter what your age, you can take steps now that will improve the health of your brain. Take the self-graded quiz below, developed by Dr. Daniel Amen and found in his book, "Magnificent Mind at Any Age." _____ My diet is poor and tends to be haphazard. _____ I do not exercise. _____ I put myself at risk for brain injuries by doing such things as not wearing my seatbelt, drinking and driving, engaging in high risk sports, and so on. _____ I live under daily or chronic stress, in my home or work life. _____ My thoughts tend to be negative, worried or angry. _____ I have problems getting 6-7 hours of sleep at night. _____ I smoke or am exposed to secondhand smoke. _____ I drink or consume more than two normal-sized (8 ounce) coffee, tea, or dark sodas a day. _____ I use aspartame and/or MSG. _____ I am around environmental toxins, such as paint fumes, hair or nail salon fumes, or pesticides. _____ I spend more than one hour a day watching TV. _____ I spend more than one hour a day playing computer or video games. _____ Outside of work time, I spend more than one hour a day on the computer. _____ I have more than three normal-sized drinks of alcohol (8 ounces of beer or wine or one ounce of hard liquor) a week. Fast growing career in just 11 months. Thanks to the success of the launch in June of our first-ever Paralegal Academy, a program that trains students for careers in a fast-growing field in just 11 months, we’re pleased to announce our next session, which begins Oct. 15. 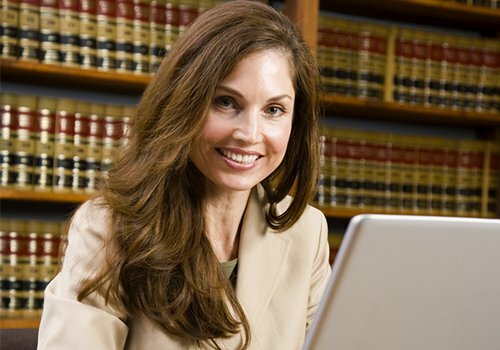 A certificate of completion is awarded upon successful completion of the course and qualifies our students to work as paralegals under a licensed attorney in California. 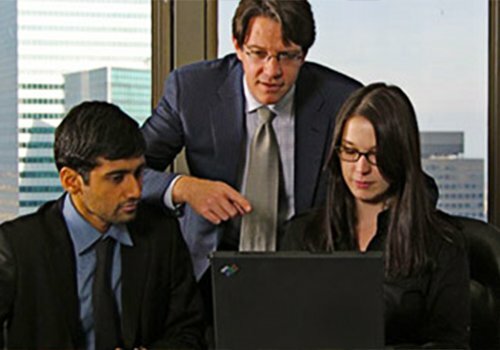 Our program’s 400-plus hours of instruction focus on developing students’ critical thinking and analytical skills and preparing them to handle day-to-day tasks and responsibilities in ANY type of law practice. Employment of paralegals and legal assistants is projected to grow 17 percent from 2012 to 2022, faster than the average for all occupations, according to the U.S. Bureau of Labor Statistics. Studies have shown that paralegals generally start at about $40,000 a year, climbing to $60,000 within five years and $70,000 to $100,000 after seven years. For more information, for more information, please call Jocelyn Winn at 310-434-3410, or email winn_jocelyn@smc.edu.